Former Magisterial District Judge Rita A. Arnold, 57, pleaded guilty on Monday to obstructing justice and tampering with public records. The fate of a former, longtime Chester County magisterial district judge now lies in the hands of a senior judge from Philadelphia. On Monday, Senior Judge John L. Braxton accepted a guilty plea from Rita A. Arnold to obstruction of justice, which carries a maximum penalty of two years in prison, and tampering with public records, which has a five-year maximum jail term. Braxton is presiding over the case because Arnold’s attorney, Heidi F. Eakin, requested a visiting judge since Arnold had worked with the Chester County bench for more than 15 years. Braxton ordered a pre-sentence investigation, and set a day of reckoning for the former jurist of July 23. Until the district court boundaries changed on April 1, Arnold presided over cases from Birmingham Township. Arnold’s role-reversal in the legal system dates back to February 2012 when the Judicial Conduct Board filed a complaint against her, alleging that she improperly handled a case involving her son, Forrest “Forrie” C. Solomon Jr., who has a lengthy criminal history. Nearly a year ago, Arnold pleaded with the state Court of Judicial Discipline to let her keep her “dream” job at a sanctions hearing, and it agreed, citing her extreme remorse and dispensing a month’s unpaid suspension. 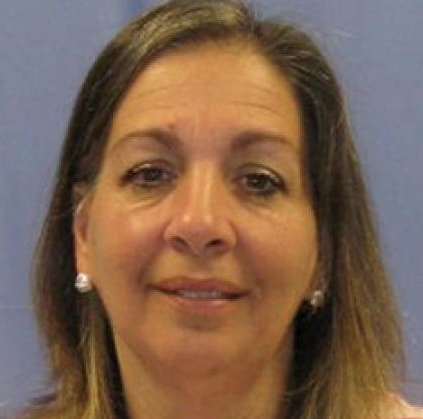 But on April 23, less than eight months after she returned to her elected post, the 57-year-old jurist resigned after her arrest by state agents from the Pennsylvania Attorney General’s Office, stemming from the same allegations. According to the criminal complaint, for 2 ½ months, Arnold concealed a summary citation state police issued to her son in January 2010 to protect him from a potential county probation violation, even instructing an employee to “hold on to this” because Solomon had “a probation hearing coming up and she didn’t know if this would affect it,” the complaint said. After repeated questions from police about the docketing delay, Arnold, without the required knowledge or approval of Chester County President Judge James P. MacElree II, docketed the citation using her computer username and password, and then ordered an employee to transfer the citation to District Justice Mark Bruno’s court, where it was dismissed, the criminal complaint said. Bruno, who has not been charged in the case, was suspended in February for his alleged involvement in the Philadelphia Traffic Court ticket-fixing case. When confronted about the irregularities in Solomon’s citation, which included the fact that the docket identified Solomon as a black female with an incorrect date of birth, Arnold used various excuses, such as court backlogs and “computer glitches,” the complaint said. At her sanctions hearing in July, Arnold did not contest the facts, an acceptance of responsibility that was noted by James P. Kleman Jr., the attorney for the Judicial Conduct Board. Kleman said Arnold’s actions began as “a misplaced sense of maternal duty” but escalated into inexcusable dishonesty. However, he said her unblemished record and her acknowledgement of wrongdoing made a public reprimand and censure an appropriate result.